International Journal of Research in Health Sciences,2013,1,3,251-255. 1-Assistant Professor. 2-Post Graduate, 3- Professor & HOD, Department of Ophthalmology, GREH, Andhra Medical College, Visakhapatnam, A.P, INDIA. Objective: To compare the structural and functional changes in subjects with Age-related Macular Degeneration (AMD) using Optical Coherence Tomography (OCT) and Humphrey Visual Fields (HVF). Materials and Methods: A crosssectional observational study of 50 AMD subjects conducted at Government Regional Eye Hospital, Andhra Medical College, Visakhapatnam from November 2011-June 2013. 100 eyes of 50 AMD subjects was examined. A thorough clinical examination of all patients was done with slit-lamp biomicroscopy, Amsler grid testing, direct and indirect ophthalmoscopy, HVF 10-2 testing strategy and Macular OCT. Results: 29 subjects (58eyes) with AMD had visual field defects(58%). The subjects with visual field defects showed significant thinning of the macula. 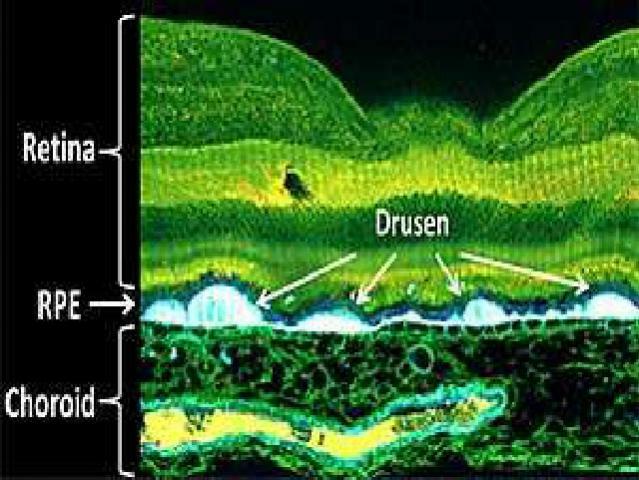 In eyes with no visual field defects (42 eyes), the retinal layer thickness is normal. Conclusion: In AMD with visual field defects, there is a thinning of retinal thickness. For AMD patients without visual filed defects , thickness values are normal.